The Best in Portable Building Doors, Windows, & More! MIDCO Building Products manufactures custom components for your portable building. Our durable products can be seen on sheds, playhouses, carports, gazebos, and manufactured homes throughout the country. We are proud to be America’s fastest growing supplier of slab doors, pre-hung doors, roll-up doors, windows, truss plates, hinges, handles, hardware, and more! 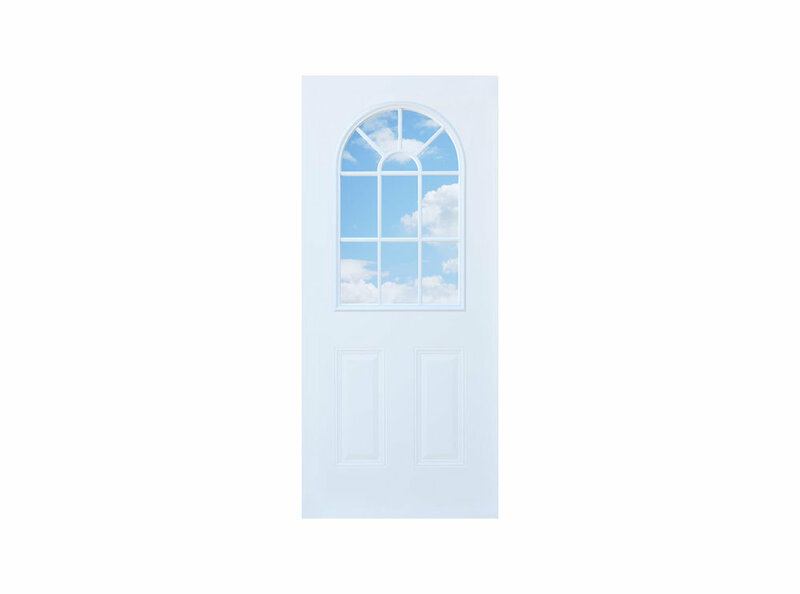 MIDCO carries a huge selection of fiberglass and steel pre-hung doors, slab doors, and French doors as well as durable Trac-Rite roll-up doors. Available in a variety of sizes and with nearly infinite glass and hardware configurations, our products are manufactured with the needs of builders in mind. Our aluminum or vinyl windows are the perfect way to see the light! Builders can select flush-mount windows, arch top windows, tempered glass windows, crank-out windows, energy efficient insulated double-pane vinyl windows, and more. Find the perfect solution for your shed, chicken coop, or playhouse! Your home, shed, garden house, carport, or portable outdoor storage building wouldn’t be complete without high-quality and durable hardware features. MIDCO Building Products carries classic decorative hinges, a huge selection of truss plates, hurricane clips, and rust-free aluminum diamond plate thresholds. From sturdy nickel and brass locks to colorfast louvered molded shutters and matching flower boxes, MIDCO Building Products supplies builders with beautifully crafted and affordable accessories. Our accessories are manufactured for use on the very best mobile homes, sheds, and outdoor buildings. MIDCO Building Products is Your One Stop Shed Shop! MIDCO Building Products is your one stop supplier for steel and fiberglass doors, vinyl and aluminum windows, hardware, and accessories for portable storage buildings, mobile homes, outdoor buildings, sheds, or detached garages. If you need it, we have it! From door hardware, T-hinges, T-handles, locks, barrel bolts, lock sets, door spring kits, turnbuckles, joist hangers, windows, vents, hurricane clips, screws, nails, carport accessories and brackets, we carry it all! At MIDCO, we also manufacture our own large selection of high-quality aluminum drip edge, starter strip and Z-bar. We are committed to providing you with the very best customer service and highest quality doors, windows, hardware, and accessories for your outdoor structures. We ship our pre-hung doors standing upright, using an innovative pallet to help guarantee that our doors arrive promptly and free of damage! We also carry a huge selection of infinitely customizable slab doors. You’ll love the flexibility of MIDCO Building Products! Builders trust MIDCO Building Products because we value quality and craftsmanship. Our doors, windows, hardware, and accessories are proudly made. We use only the finest materials to ensure years of trouble-free use. Your One Stop Shop for portable building doors, windows, hardware, accessories, and more!